Brain Aneurysm survivors, families and friends are invited to attend a support group meeting at noon on Friday, September 23 at West Jefferson Medical Center, Room 201 of the Physician’s Office Building, North Tower. 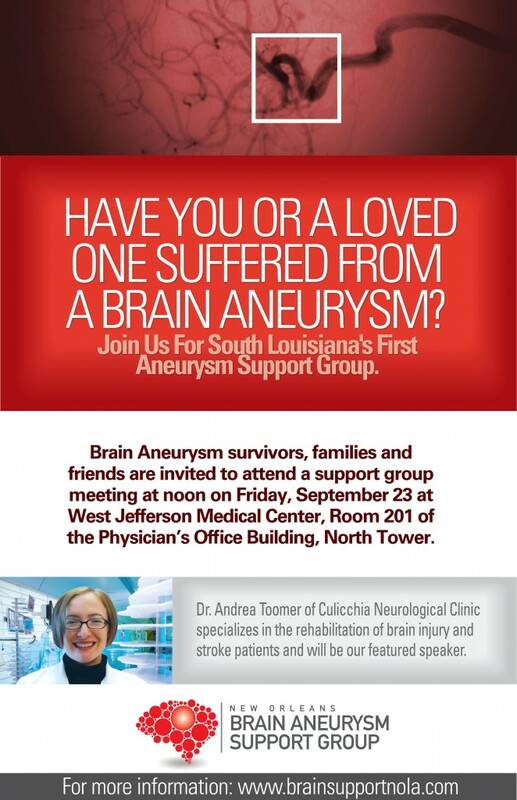 Dr. Andrea Toomer of Culicchia Neurological Clinic specializes in the rehabilitation of brain injury and stroke patients and will be our featured speaker. Mark your calendar and email rebeccawinchell@gmail.com if you need more information!